As independent estate agents in London we are able to devise and design all of our marketing in house meaning we have instant access to marketing expertise. Online marketing is an essential avenue to explore when marketing your property in the modern property market. Does your property display on portals? Is it accessible to Social Media users looking for a new home? It’s vital to effective property marketing that these areas are used to the fullest; an agency which markets well online is likely to be a quality agency. Our in house marketing team ensure that our entire team appreciates the value of a well-designed and comprehensive property brochure. We check each brochure thoroughly, choose our images carefully and produce floor plans in house. 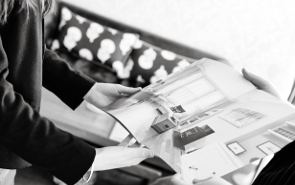 Our brochures combines with top notch service from our lettings negotiators to ensure quality viewings and an accurate representation of your property’s character. To find out more about our marketing campaigns and approach please visit our Marketing guide. To speak to our Lettings team directly contact us today.